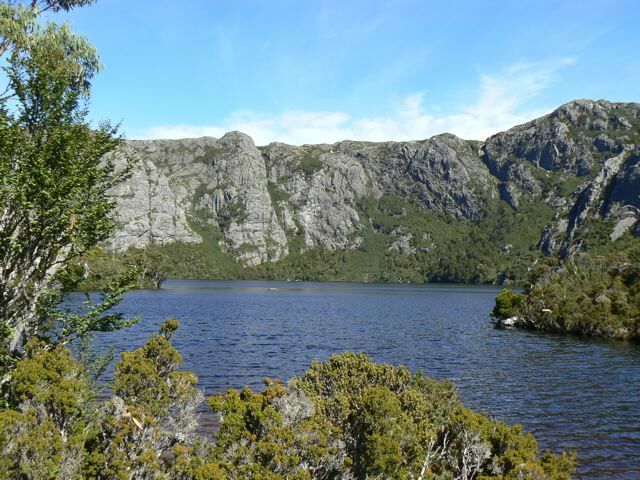 See the Tasmanian Parks and Wildlife Service website for details of getting to and from the trailheads. Season : November – April. 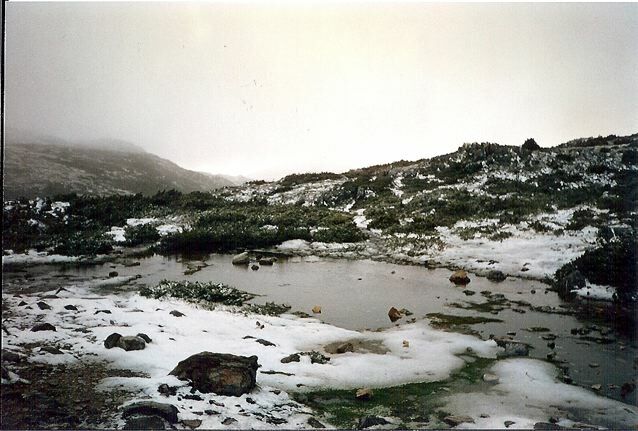 The Overland Track takes place in Cradle Mt. – Lake St. Clair National Park. 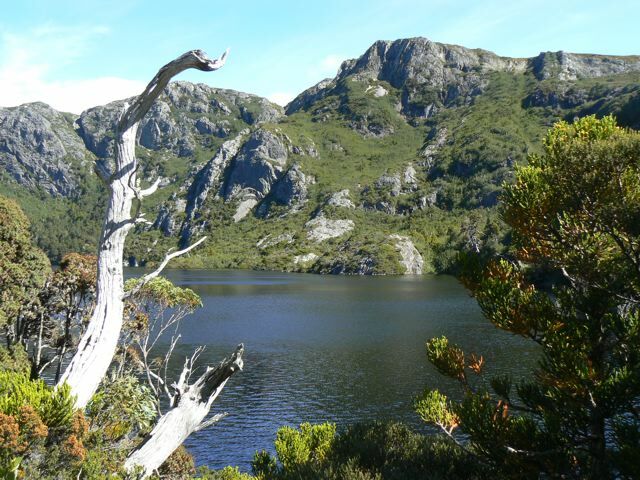 In order to limit overcrowding and environmental impact during the walking season (Nov.1 –April 30), a quota system has been put in place allowing a maximum of 60 walkers to depart each day from Cradle Mountain. When making your booking, you will need to pay an Overland Track Fee. In addition, walkers are required to have a Parks Pass, which is valid for all Tasmanian National Parks. For information on fees, bookings and all other planning-related matters, see the Tasmanian Parks and Wildlife Service website. If you hike outside of the official walking season, no booking or track fee is necessary (although you will still need a Parks Pass). For navigation purposes, all you really need is TASMAP 1:100,000 Cradle Mountain Lake St.Clair National Park. 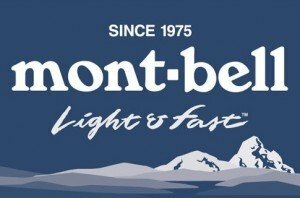 Widely available in outdoor stores throughout Tasmania. Alternatively, if you are looking for a walking guide with topographic maps included, try John Chapman’s Overland Track. The track is well marked and easy to follow. In recent years, extensive boarding and track development has made the ‘Overland’ a much less muddy proposition than it used to be. 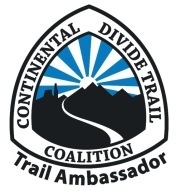 Summer represents your best chance of clear weather, however, walkers should be prepared for cold and wet conditions no matter when they are hiking. Personally speaking, in February of 1996, I had either snow or driving rain pretty much every day of my tramp. 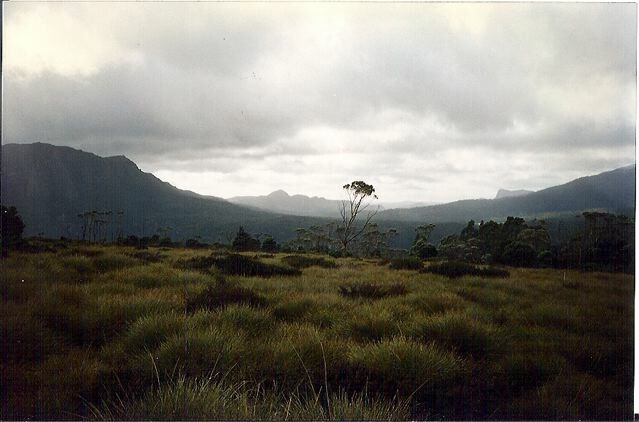 The “sunny” shots in the photo gallery were actually taken in 2009, during a day walk around the Cradle mountain area at the start of the track. There are numerous worthwhile sidetrips. 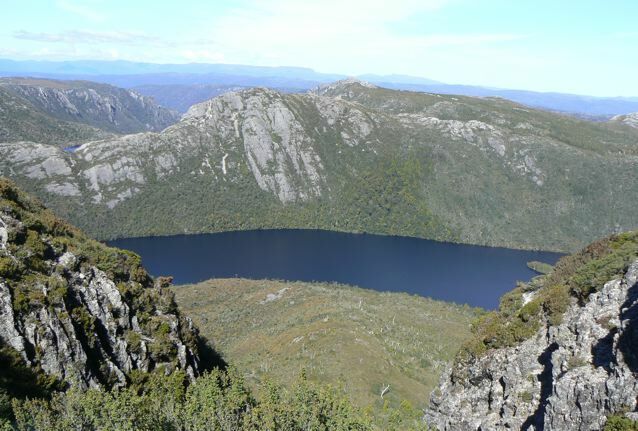 These include: the summits of Cradle Mountain and Mt. Ossa, and a 6.5km return trip to the Acropolis. Officially speaking, it is recommended that all water be purified. Unofficially, I have never treated water on any of my Tasmanian walks and have not had a single problem. All huts are equipped with rainwater tanks. When using other sources, always try to collect your water upstream of huts, campsites and track crossings. In order to preserve the purity of Tasmania’s pristine water sources, it is vital (particularly in such a popular area) that all walkers practice proper hygiene techniques during their time out in the wilderness (see Hygiene in the ENVIRONMENT section for tips and advice). There are six huts which operate on a first-come, first-served basis. During walking season, they can often be full. Although people will always make space, you should definitely bring your own shelter both for greater flexibility and as an escape option when the nightly chorus of heavy snoring gets to be a bit too much. 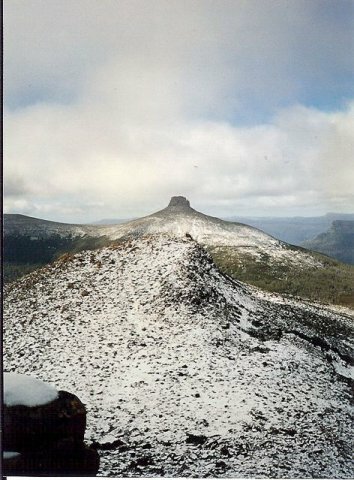 The Overland Track is Australia’s most famous walk. 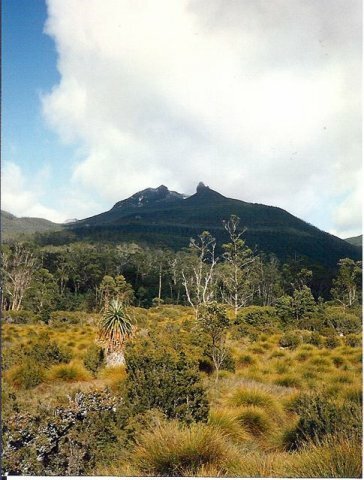 Some hikers are deterred by the Overland Track’s popularity and associated fees. If this is the case, then the solution is simply to hike outside the main season. That being said, it is worth remembering that all fees paid go directly towards the maintenance and preservation of Tasmania’s National Parks. 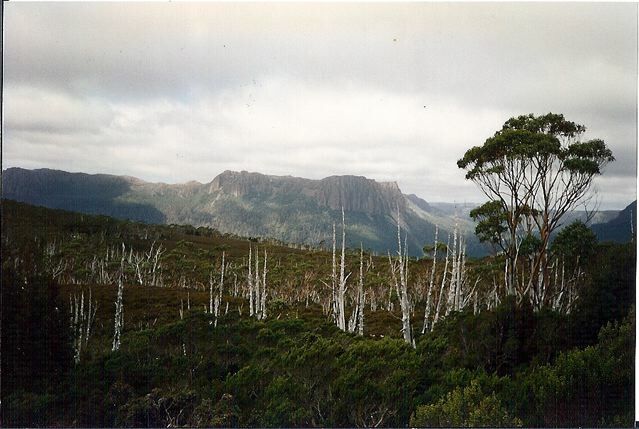 The Overland Track is popular for a reason. Glacial lakes, cirques, dolerite peaks and waterfalls combine with an impressive array of flora and fauna to make it a visually impressive hike from start to finish. 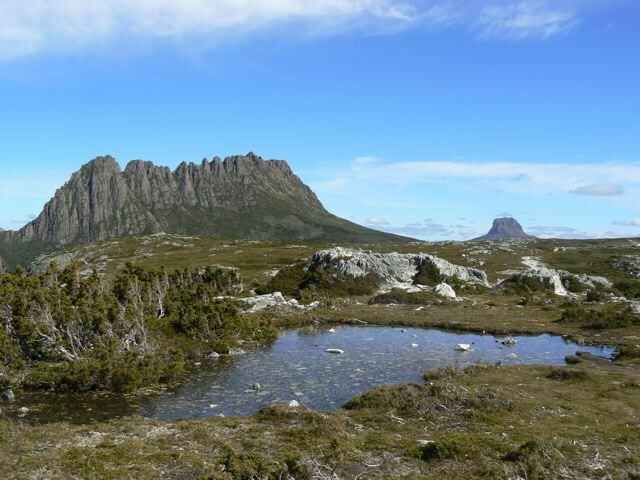 The ‘Overland’ represents a good choice for your first Tasmanian trek. For more challenging, less crowded options, look to the south west. Note: The final four photos on this post were taken during a day hike in the Cradle Mountain section of the Overland Track in 2009.